Dr. Pelayo answers the most common questions most people have on adolescent sleep and school start times, while debunking many common myths and misconceptions in the process. Do students fall asleep in school because they are bored? Can students catch up on sleep on the weekends and is that a good practice? What is “microsleep” and how does it impact driver safety? If schools start later, will students just stay up later? What is the relationship between sleep and athletic performance? How does sleep impact the part of the brain that governs risky behavior and suicide ideation? What is the role of electronics in causing sleep problems? Dr. Pelayo concludes by describing an award-winning program in which Stanford University collaborates with local high schools to educate students on sleep and the critical role it plays in health and performance. 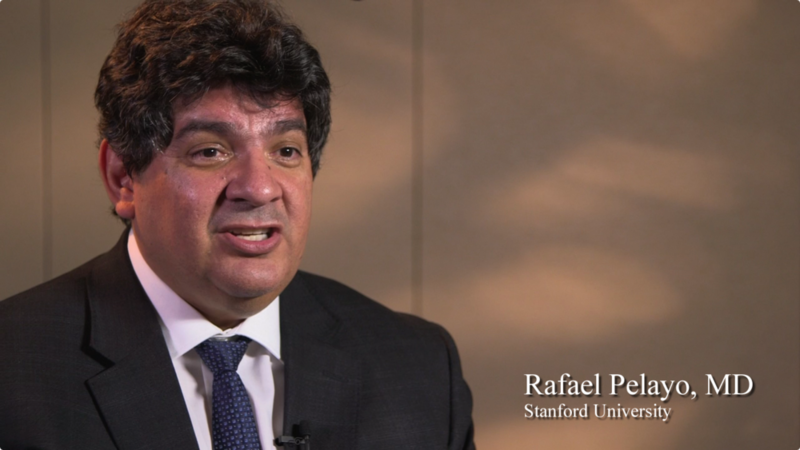 Rafael Pelayo, MD is a clinical professor at Stanford University School of Medicine. He has been treating sleep disorders in children and adults at the Stanford Sleep Disorders Clinic since 1993. He was elected and currently serves on the board of the California Sleep Society. Along with Dr. William Dement he teaches the Stanford University Sleep and Dreams course to hundreds of undergraduate students. Together they wrote the course’s textbook. Students in this class are required to perform outreach projects to increase awareness of the importance of sleep. He has previously served as chair of the Sleep Disorders Research Advisory Board of the National Center for Sleep Disorders Research at the National Heart Lung Blood Institute at the NIH. He chaired of the pediatric special interest section of the American Academy of Sleep Medicine. He has lectured nationally and internationally on sleep disorders. He has done multiple television, radio, and print interviews. He is originally from New York City.